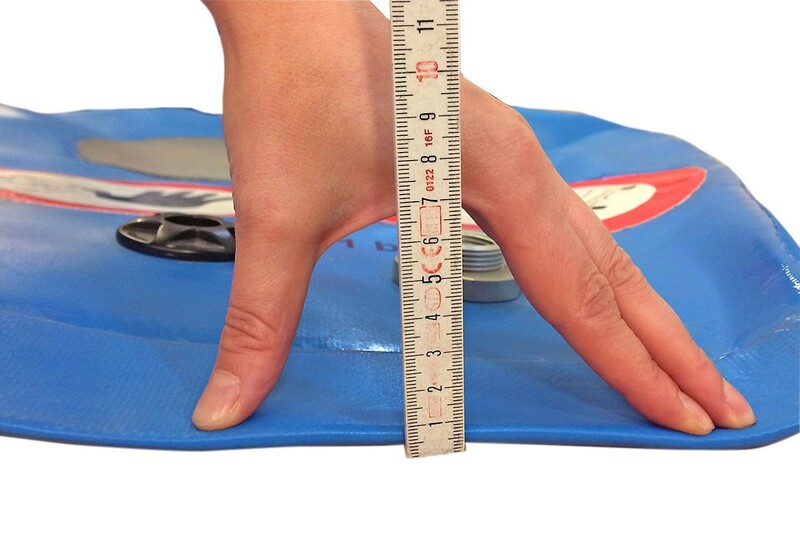 Flat as a pancake, that is not only applicable for our country The Netherlands, but also for our newest lifting bag. 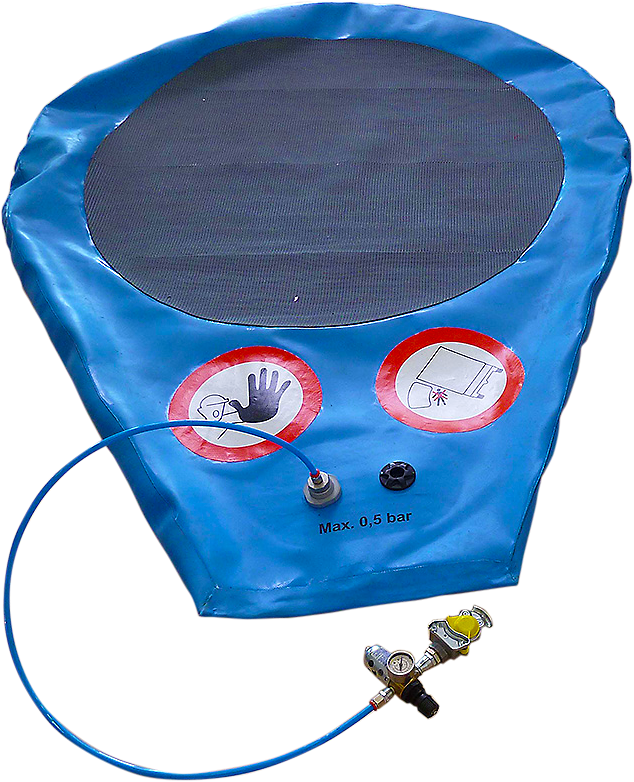 In case there is very little space available, we have a lightweight, super flat and flexible solution: the Pancake Lifting Bag. 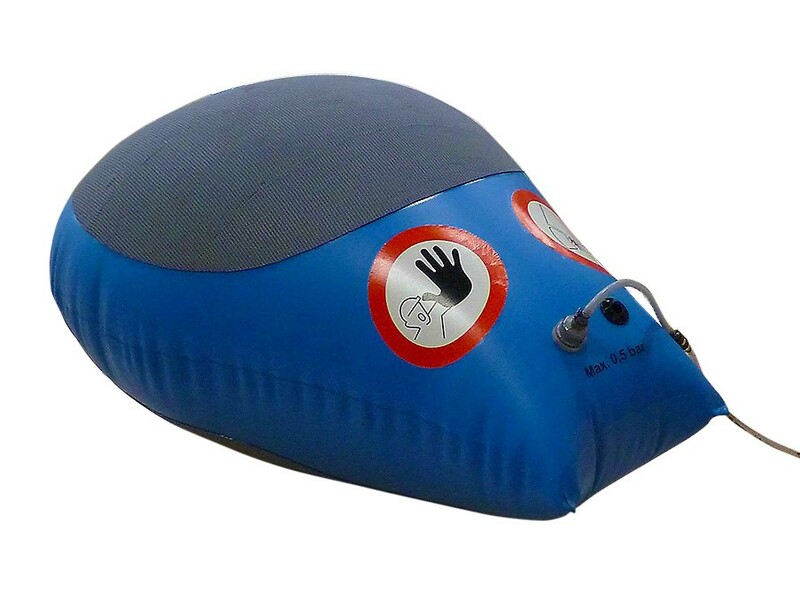 This lifting bag is very strong, reliable and sustainable. 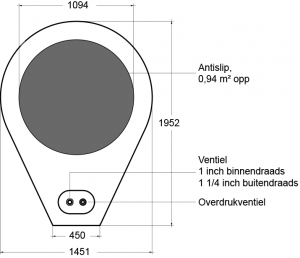 We have two types; the smallest is the PS type, measuring 1m x 1.35m. The bigger type, the PL, measures 1.45m x 1.95m. 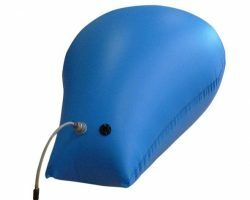 The pneumatic lifting bags are designed for low-pressure applications. 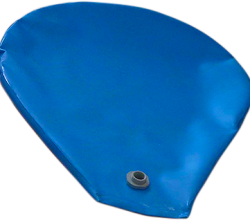 The maximum filling pressure is 1 Bar for the PS type and 0,5 Bar for the PL type. Despite the low pressure one can easily lift heavy objects. On the below drawing you find the dimensions of the PS type. At the beginning it can lift, 7.5 T (7,500 KGf) with the maximum pressure of 1 Bar. Dependable on the lifting height, the lifting capacity is getting less. At a lifting height of 300mm, the lifting capacity is still 2T (2,000 KGf). 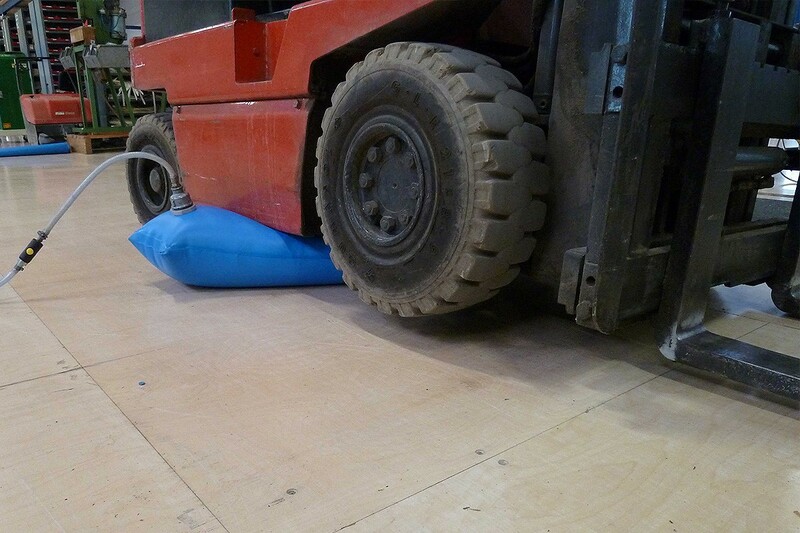 The lifting bag is secured against over pressurising by an overpressure valve adjusted to a little more than 1 Bar. The price amounts to € 765.00 excl. VAT and excl. transport cost. The delivery time is approximately 1 week. 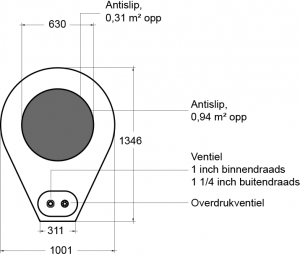 On the below drawing you find the dimensions of the PL type. At the beginning it can lift 8 T (8,000 KGf), with the maximum pressure of 0.5 Bar. Dependable on the lifting height, the lifting capacity is getting less. 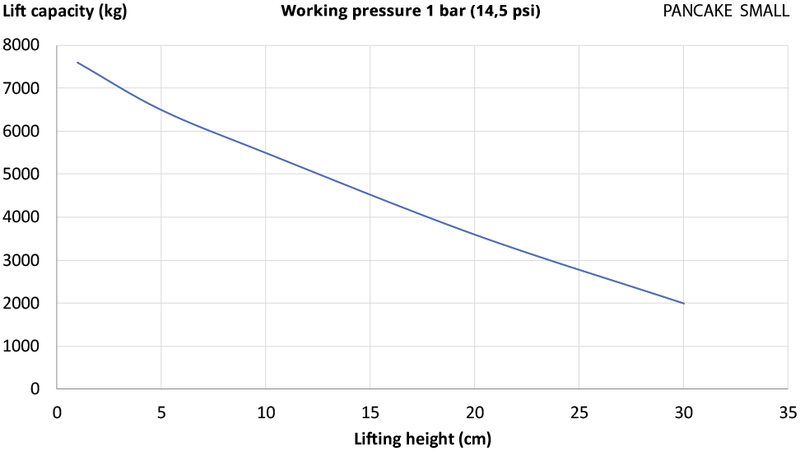 At a lifting height of 500mm, the lifting capacity is still almost 2 T (1,800 KGf). 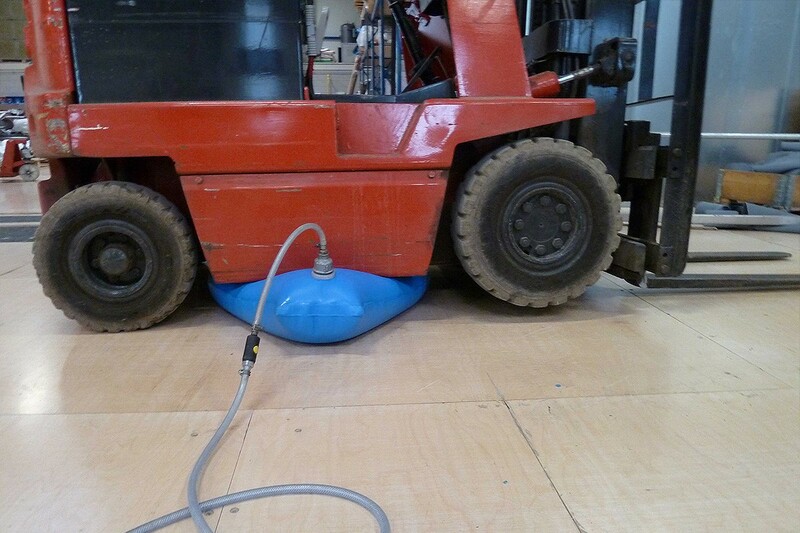 The lifting bag is secured against over pressurising by an overpressure valve adjusted to a little more than 0.6 Bar. The price amounts to € 1,650.00 excl. VAT and excl. transport cost. The delivery time is approximately 1 week.